UbuWeb: Film & Video, an excellent archive of experimental film and video. Electronic Arts Intermix, a resource for video and media art, founded in 1971. LuxOnline, a web resource for exploring British based artists’ film and video in-depth. The Luxonline Histories lists key events, places, people and exhibitions which have contextualised and contributed to the development of artists' film and video from the past century to the current day. Avant-Garde Film Index lists films, archival collections and references for selected filmmakers. Visionary Film: Avant-Garde Cinema / Experimental Film, a web resource founded in 2006. The iotaCenter, a resource on visual music, founded in 1994. Experimental Cinema, a news and resources on experimental film. Flicker provides links to sites about contemporary and historical experimental cinema. cinovid, database for experimental film and video art. Discontinued in 2014. Publications on individual filmmakers are included on their respective pages. How to contribute. The following bibliography is made to be an online reader on experimental film as well. A number of included publications is already available online thanks to the publishers, fans, researchers or authors themselves, however we are still missing many of the early writings, the out of print and hard to find catalogues, journals and monographs. You are greatly welcome to contribute to the reader by uploading any missing scans to the wiki or contacting the editor (db at monoskop dot org). Suggestions for omitted works are also appreciated. Maya Deren, An Anagram of Ideas on Art, Form and Film, 1946. Download. Stan Brakhage, Metaphors on Vision, 1963. Download. Sheldon Renan, An Introduction to the American Underground Film, 1967. View online. 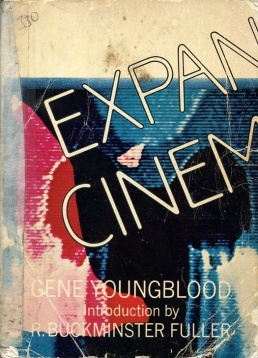 Gene Youngblood, Expanded Cinema, 1970. Download. Annette Michelson (ed. 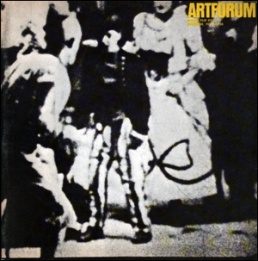 ), Artforum: Special Issue on Film (September 1971). Download. 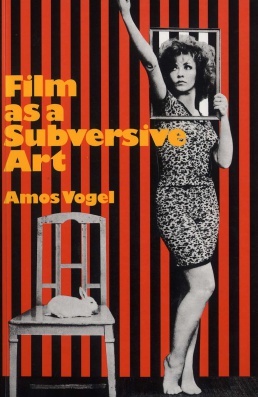 Amos Vogel, Film as a Subversive Art, 1974. Download. Peter Gidal (ed. 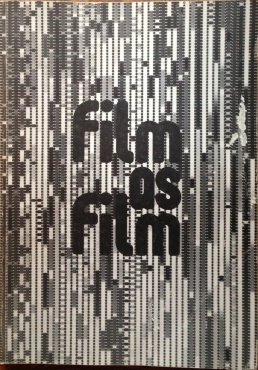 ), Structural Film Anthology, 1976. Download. Film as Film: Formal Experiment in Film, 1910-1975, 1979. Download. Hollis Frampton, Circles of Confusion: Film/Photography/Video Texts 1968-1981, 1983. Download. 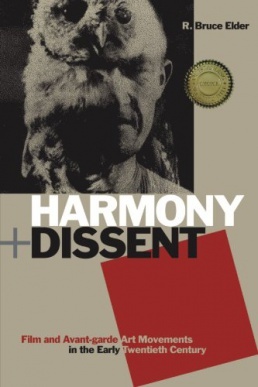 R. Bruce Elder, Harmony and Dissent: Film and Avant-garde Art Movements in the Early Twentieth Century, 2008. Download. 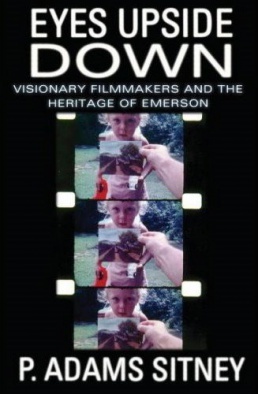 P. Adams Sitney, Eyes Upside Down: Visionary Filmmakers and the Heritage of Emerson, 2008. Download. Experimental Cinema, Philadelphia, PA: Cinema Crafters of America, 1930-34. Monthly. f.a. [Art Film], eds. Franciszka and Stefan Themerson, 1937-?. Journal of the SAF co-operative. Film Culture, New York, 1955-1996. Film Culture Reader, ed. P. Adams Sitney, New York: Praeger, 1970, viii+438 pp; repr., New York: Cooper Square Press, 2000. UbuWeb, Anthology Film Archives (eds. ), "Selections from Film Culture Magazine, 1955-1996", n.d.
Jump Cut: A Review of Contemporary Media, 56+ issues, eds. John Hess, Chuck Kleinhans and Julia Lesage, since 1974. Millennium Film Journal, eds. Grahame Weinbren and Kenneth White, since 1978. Published biannually. Peter Gidal (ed. 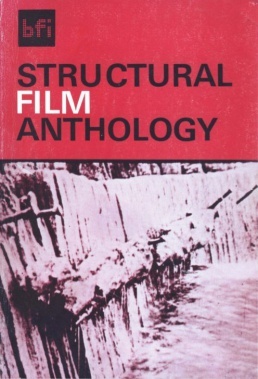 ), Structural Film Anthology, London: British Film Institute, 1976. P. Adams Sitney (ed. ), The Avant-garde Film: A Reader of Theory and Criticism, New York: New York University Press, 1978. Contains the often-hard-to-find theoretical writings of experimental filmmakers, beginning in France in the 1920s and continuing internationally through the 1970s. Wheeler Winston-Dixon, Gwendolyn Audrey Foster (eds. ), Experimental Cinema: The Film Reader, London and New York: Routledge, 2002, 356 pp. Covers the field of experimental and avant-garde cinema from the 1920s onward, concentrating on movements and varied key figures, with a concentration on issues such as gender, sexuality, and race, as well as the impact of technological innovation. Review: Rees (Screen). Jackie Hatfield (ed. ), Experimental Film and Video: An Anthology, Eastleigh: John Libbey Pub., 2006. 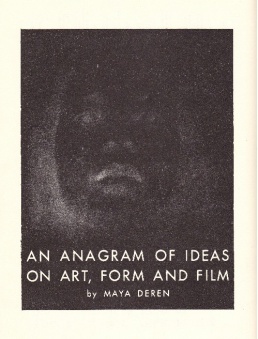 Maya Deren, An Anagram of Ideas on Art, Form and Film, Yonkers/NY: Alicat Book Shop Press, 1946, 52 pp. Frank Stauffacher (ed. ), Art in Cinema: A Symposium on the Avantgarde Film Together with Program Notes and References for Series one of Art in Cinema, San Francisco: Art in Cinema Society, 1947. Roger Manvell (ed. ), Experiment in the Film, London: Grey Walls Press, 1949, 285 pp. Stan Brakhage, Metaphors on Vision, Film Culture, 1963. Edited with an Introduction by P. Adams Sitney. 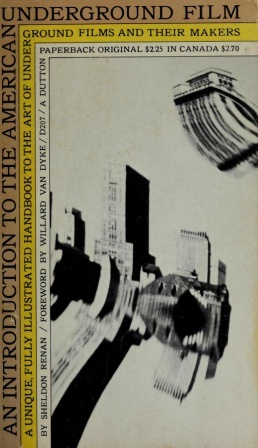 Sheldon Renan, An Introduction to the American Underground Film, New York: Dutton, 1967. Cinema Now: Stan Brakhage, John Cage, Jonas Mekas, Stan Vanderbeek, eds. Hector Currie and Michael Porte, University of Cincinnati Press, 1968, 28 pp. Transcript of a discussion among filmmakers and members of the Film as Art and Communication class at the University of Cincinnati, which took place in April 1967. Gene Youngblood, Expanded Cinema, intro. R. Buckminster Fuller, New York: Dutton, 1970, 432 pp. Parker Tyler, Underground Film: A Critical History, New York: Grove Press, 1970. Jonas Mekas, Movie Journal: The Rise of the New American Cinema, 1959-1971, New York: Macmillan, 1972, 434 pp. Excerpt. A collection of the columns written for the Village Voice beginning in 1958 under the title "Movie Journal". Review: Everleth (UFJ 2007). Stephen Dwoskin, Film is ...: The International Free Cinema, London: Owen, 1975. P. Adams Sitney (ed. ), The Essential Cinema: Essays on the Films in the Collection of Anthology Film Archives, New York: Anthology Film Archives, 1975. Essays by filmmakers and scholars of the avant-garde, written with a wide range of approaches ranging from the theoretical to the purely personal, intended to reinforce appreciation of the films chosen by the archive for inclusion in its Essential Cinema Collection. Malcolm Le Grice, Abstract Film and Beyond, MIT Press, 1977. Ulrich Gregor (ed. ), The German Experimental Film of the Seventies, Munich: Goethe-Institut, 1980. P. Adams Sitney, Visionary Film: the American Avant-Garde, 1943-2000, Oxford University Press, 1974; 3rd ed., 2002. Martin Walsh, The Brechtian Aspect of Radical Cinema, London: BFI Publishing, 1981, 136 pp. 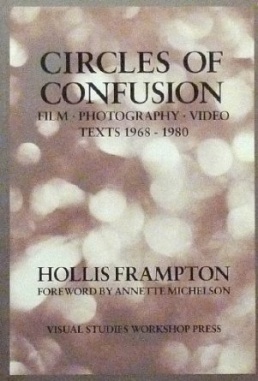 Hollis Frampton, Circles of Confusion: Film/Photography/Video Texts 1968-1981, forew. Annette Michelson, Visual Studies Workshop Press, 1983, 200 pp. Inez Hedges, Languages of Revolt: Dada and Surrealist Literature and Film, Durham, N.C.: Duke University Press, 1983. Maureen Cheryn Turim, Abstraction in Avant-garde Films, Ann Arbor, Mich.: UMI Research Press, 1985. Stan Brakhage, Film at Wit's End: Eight Avant-garde Filmmakers, Kingston, N.Y.: Documentext, 1989. Peter Gidal, Materialist Film, London and New York: Routledge, 1989. Eduard Ditschek, Politisches Engagement und Medienexperiment: Theater und Film der Russischen und Deutschen Avantgarde der Zwanziger Jahre, Tübingen: Narr, 1989, 306 pp. (German) Contents. David E. James, Allegories of Cinema: American Film in the Sixties, Princeton University Press, 1989, 408 pp. P. Adams Sitney, Modernist Montage: The Obscurity of Vision in Cinema and Literature, New York: Columbia University Press, 1990. Patricia Mellencamp, Indiscretions: Avant-garde Film, Video & Feminism, Bloomington: Indiana University Press, 1990. William C. Wees, Light Moving in Time: Studies in the Visual Aesthetics of Avant-Garde Film, University of California Press, 1992, PDF. Scott MacDonald, Avant-garde Film: Motion Studies, Cambridge University Press, 1993. William C. Wees, Recycled Images: The Art and Politics of Found Footage Films, New York: Anthology Film Archives, 1993, 117 pp. Edward S. Small, Direct Theory: Experimental Film/Video as Major Genre, SIU Press, 1994, 122 pp. James Peterson, Dreams of Chaos, Visions of Order: Understanding the American Avante-garde Cinema, Detroit: Wayne State University Press, 1994. Rudolf E. Kuenzli (ed. ), Dada and Surrealist Film, MIT Press, 1996. Wheeler W. Dixon, The Exploding Eye: A Re-Visionary History of 1960s American Experimental Cinema, Albany: State University of New York Press, 1998. Robert A. Haller (ed. ), First Light, New York: Anthology Film Archives, 1998, 108 pp. Scott MacDonald, A Critical Cinema: Interviews with Independent Filmmakers, 5 vols, Berkeley: University of California Press, 1988–2005. Five volumes of in-depth, perceptive, enlightening interviews with a multitude of filmmakers offer a veritable history of the field. The author’s overriding concern is with experimental cinema as a form of critique of conventional media. A. L. Rees, A History of Experimental Film and Video: From Canonical Avant-garde to Contemporary British Practice, London: British Film Institute, 1999. Emanuel Levy, Cinema of outsiders: the rise of American independent film, New York: New York University Press, 1999. Laura U. Marks, The Skin of the Film: Intercultural Cinema, Embodiment, and the Senses, Duke University Press, 2000, 320 pp. Excerpt, . Barbara Wilinsky, Sure Seaters: the emergence of art house cinema, Minneapolis: University of Minnesota Press, 2001. Malcolm Le Grice, Experimental Cinema in the Digital Age, London: BFI Publishing, 2001, 484 pp. Nina Danino, Michael Maziere (eds. ), The Undercut reader: critical writings on artists' film and video, London/New York: Wallflower, 2003. Nicky Hamlyn, Film Art Phenomena, London: British Film Institute, 2003, viii+200 pp. Ch 4. Reviews: Rees (Screen), Conomos (Screening the Past). Michael O'Pray, Avant-Garde Film: Forms, Themes and Passions, London/New York: Wallflower, 2003. Jeffrey Skoller, Shadows, Specters, Shards. Making History in Avant-Garde Film, University of Minnesota Press, 2005, 233 pp. David E. James, The Most Typical Avant-garde: History and Geography of Minor Cinemas in Los Angeles, University of California Press, 2005, 548 pp. Review. Paul G. Pickowicz, Yingjin Zhang (eds. ), From underground to independent: alternative film culture in contemporary China, Lanham, Md. : Rowman & Littlefield, 2006. Robin Blaetz (ed. ), Women's Experimental Cinema: Critical Frameworks, Durham: Duke University Press, 2007, 421 pp. Introduction, Essay by Janet Cutler, , . Malte Hagener, Moving Forward, Looking Back: The European Avant-garde and the Invention of Film Culture, 1919-1939, Amsterdam University Press, 2007, 376 pp. Alexander Graf, Dietrich Scheunemann (eds. ), Avant-garde Film, Rodopi, 2007. Result of a research project at the University of Edinburgh that aims to connect the history of avant-garde film to the wider avant-garde in literature and art. It establishes a continuum between the contemporary moving image and the classical experimental film that preceded it from the 1920s onward. Duncan Reekie, Subversion: The Definitive History of Underground Cinema, London: Wallflower Press 2007. P. Adams Sitney, Eyes Upside Down: Visionary Filmmakers and the Heritage of Emerson, 2008. R. Bruce Elder, Harmony and Dissent: Film and Avant-garde Art Movements in the Early Twentieth Century, Waterloo: Wilfrid Laurier University Press, 2008. Daniel Barnett, Movement as Meaning: In Experimental Film, Rodopi, 2008, 240 pp. From Absolute Cinema to Future Film: Materials from the History of Experiment in the Moving Picture Art, eds. Violetta Kutlubasis-Krajewska and Piotr Krajewski, Wroclaw: WRO Art Center, 2009, 84 pp. Steve Anker, Kathy Geritz, Steve Seid (eds. ), Radical Light: Alternative Film and Video in the San Francisco Bay Area, 1945-2000, University of California Press, Berkeley Art Museum and Pacific Film Archive, 2010, 352 pp. Malcolm Turvey, The Filming of Modern Life: European Avant-Garde Film of the 1920s, MIT Press, 2011. Review: Foltz (LARB). Pavle Levi, Cinema by Other Means, Oxford University Press, 2012, 224 pp. William E.B. Verrone, The Avant-Garde Feature Film: A Critical History, Jefferson, NC: McFarland, 2012, 222 pp. Akira Mizuta Lippit, Ex-Cinema: From a Theory of Experimental Film and Video, University of California Press, 2012, 189 pp, EPUB. Andrew V. Uroskie, Between the Black Box and the White Cube: Expanded Cinema and Postwar Art, University of Chicago Press, 2014, 288 pp. Patti Gaal-Holmes, A History of 1970s Experimental Film: Britain’s Decade of Diversity, Palgrave Macmillan, 2015, 231 pp. Jackie Hatfield (ed. ), Experimental Film and Video: An Anthology, John Libbey, 2015, 283 pp. Sue Clayton, Laura Mulvey (eds. ), Other Cinemas: Politics, Culture and Experimental Film in the 1970s, I.B. Tauris, 2017. Artforum: "Special Film Issue", ed. Annette Michelson, Sep 1971. John G. Hanhardt, "The American Independent Cinema, 1958-1964", in Blam! The Explosion of Pop, Minimalism, and Performance, 1958-1964, ed. Barbara Haskell, New York: Whitney Museum of American Art, 1984, pp 117-136. 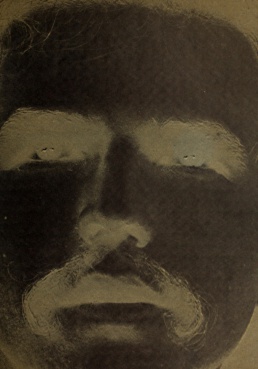 "Experimental film (avant-garde; fine-art film)", in The Grove Encyclopedia of Materials and Techniques in Art, ed. Gerald W.R. Ward, Oxford University Press, 2008, 213-215. Frameworks. Started by Pip Chodorov of Re:Voir in Paris; unmoderated. Archives. Carlos Kase, A Cinema of Anxiety: American Experimental Film in the Realm of Art (1965-75), University of Southern California, 2009. Ph.D. Dissertation. Compiled list of books on experimental film from Frameworks mailing list, 2011. Archived discussion. Film Aesthetics: Women’s Experimental Cinema course by Ed Halter, 2008. Experimental film in CEE, Hungary, Poland, Czech Republic, Slovakia, Croatia, Serbia, Slovenia, Bosnia and Herzegovina, Romania, Estonia, Lithuania. This page was last modified on 5 April 2019, at 08:16. This page has been accessed 159,853 times.